The Chevrolet Chevelle was produced in three generations for the 1964 through 1978. The Chevelle was one of Chevrolet's most successful nameplates. Body styles include coupes, sedans, convertibles and station wagons. Super Sport versions were produced through the 1973 model year, and Lagunas from 1973 through 1976. The Malibu, the top of the line model through 1972, replaced the Chevelle nameplate for the redesigned, downsized 1978 models. The 1968 Chevelle got an all-new distinctly sculpted body with tapered front fenders and a rounded beltline. The car adopted a long-hood/short-deck profile with a high rear-quarter "kick-up". Top-trim models (including the SS 396 and new luxury Concours) featured GM's new Hide-A-Way wiper system. 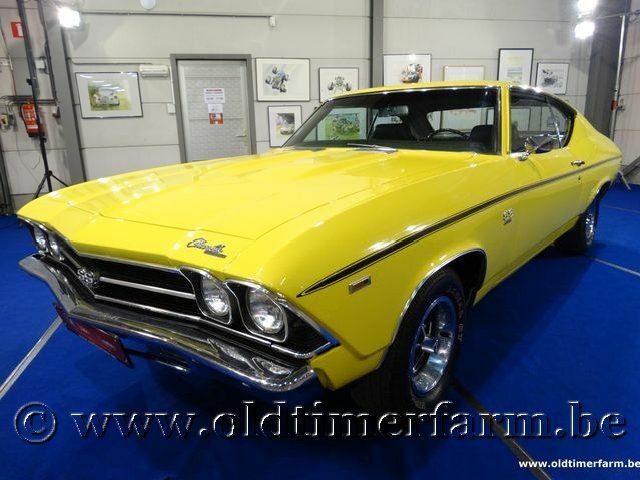 Lesser Chevelles would get that change later. The Super Sport (SS396 sport coupe, convertible, and El Camino pickup) became series on its own. 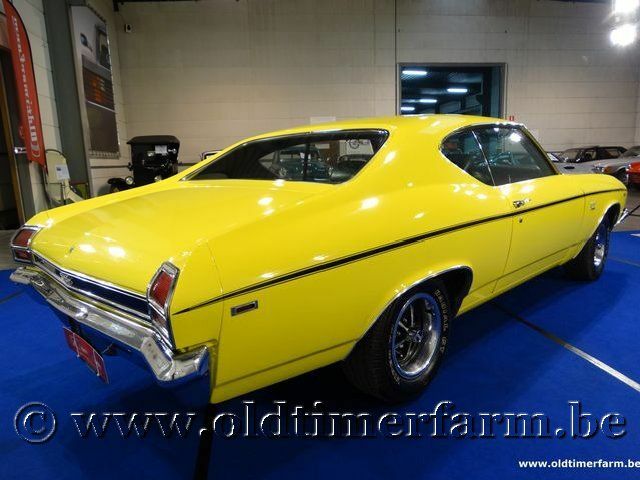 1969 Chevelles were billed as "America's most popular mid-size car." They showed only minor changes for 1969. No longer a series of its own, the SS 396 turned into a $347.60 option package for any two-door model. That meant not just a convertible, sport coupe, or pickup, but even the pillared coupe and sport coupe in the lower-rent 300 Deluxe series (except the base 300 Deluxe El Camino pickup). Fewer SS396-optioned 300 Deluxe coupes and sport coupes were built than their Malibu counterparts and they are solid gold for collectors. The Super Sport option included a 325-horsepower 396-cubic-inch V8 beneath a double-domed hood, along with a black-out grille displaying an SS emblem and a black rear panel. More potent editions of the 396 engine also made the options list, developing 350 or 375 horsepower (280 kW). During the 1969 model year a police package (RPO B07) was available on the Chevelle 300 Deluxe 4-door sedan where some were optioned with the RPO L35 (396) motor. The 300 Deluxe squads was not a sales success since the market was dominated by rival manufacturer Chrysler Corporation where its B platform (and its full sized sedans) outsold its competitors.